If you are spacecaptain23, click the Continue button to pay now. The Coolpix 775 has a winning combination of size, features, image quality and price. 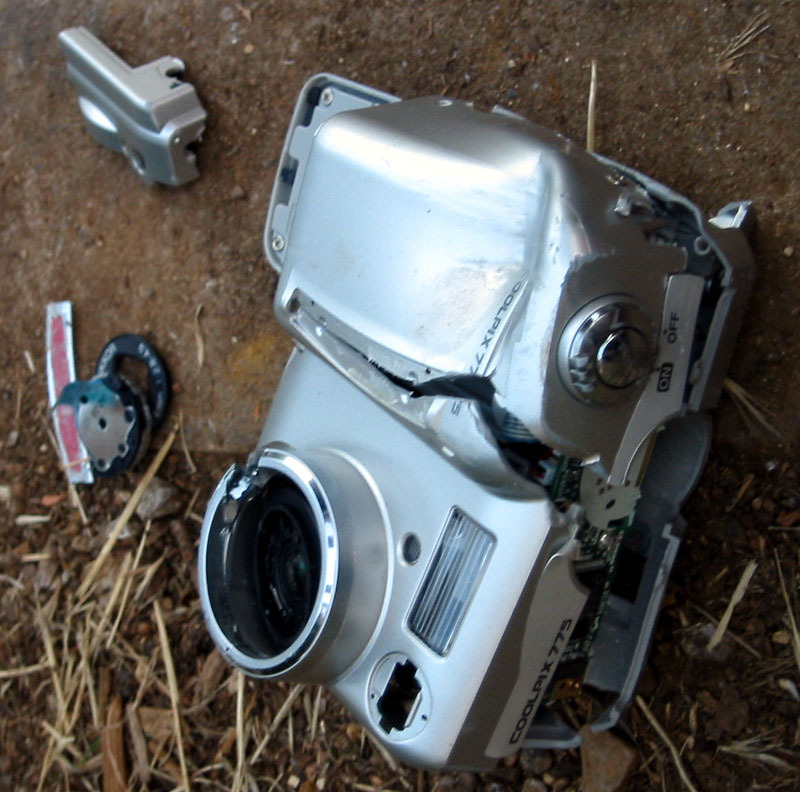 This example is ideal for an enthusiastic electronic hobbyist wishing to join the digital photography revolution on a budget. 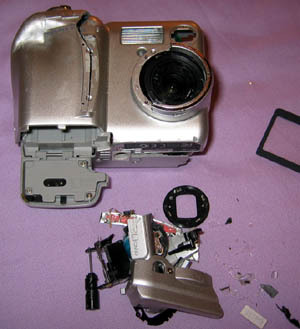 A digital camera is an ideal companion for recording nights out at the pub. Never bet with Nigel Blinman, then forego his generous get-out clauses. 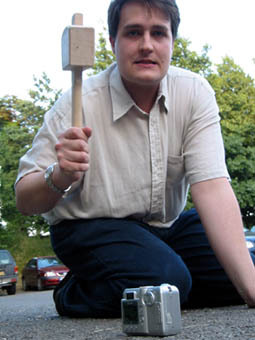 He doesn't just extract payment, he does so in the pub car park with a mallet. 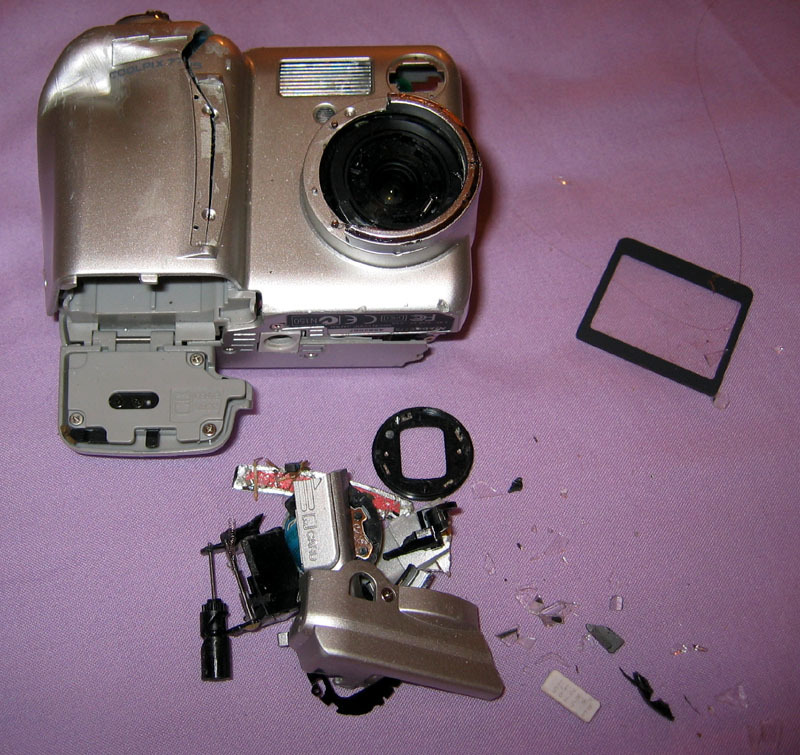 The camera is no longer in working order. Fortunately Nigel brought a dustpan and brush, so that all the components are included (even the little specks of plastic). Note, the battery and compact flash cards are not included. To find out more about Nigel and why he did this, check out his web page. The last picture taken with the camera prior to Nigel's modifications shows that it was in perfect working order, although some attention is required to return it to this state.